Our attorneys provide a wide range of family law and related matters. We focus on divorce, custody and all other family related legal issues including, but not limited to modification and enforcement of existing orders, child abuse and neglect, spousal abuse issues, as well as pre-nuptial and post-nuptial property agreements. We also provide basic estate planning services for our clients. We prepare simple wills, trust and Powers of Attorney. We represent Mental Health Professionals on the following issues: Licensing Complaints, Litigation Preparation, HIPAA Compliance, and Protective Orders – responding to subpoenas for records and testimony. Lawrence Praeger is a credentialed mediator. 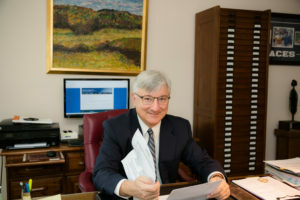 His 25 years of practicing law and 5 years of service on the State Bar Grievance Committee puts him in a unique position to mediate cases.